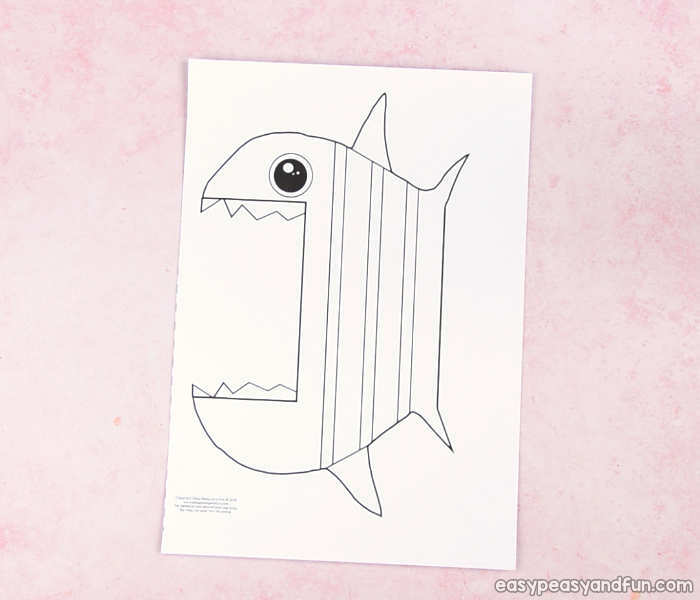 Print out our surprise big mouth fish printable, have the kids color it in (a fun paper craft and a coloring page in one ;), fold it and have fun closing and opening it’s mouth! Oh so fun. 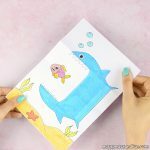 We do love all kinds of crafts, with this one you can make it with our printable template, or use it as an inspiration for an surprise art project for kids. 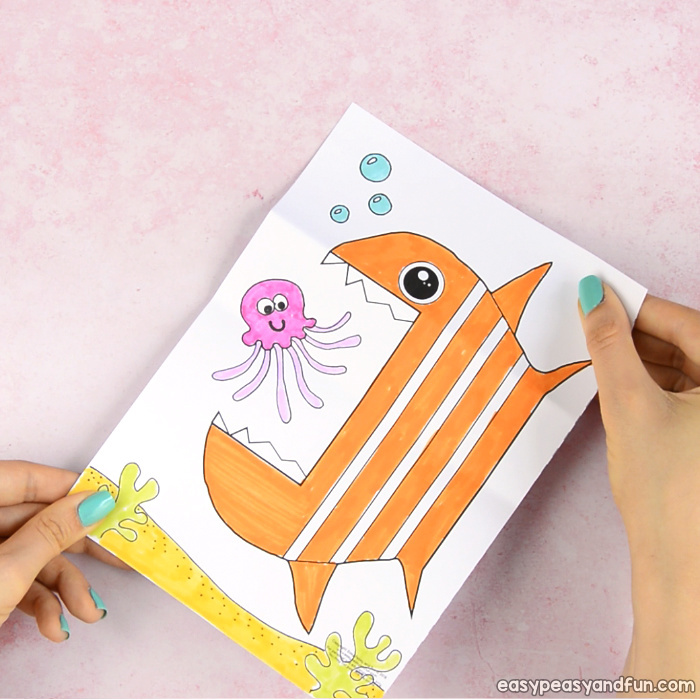 Fish are a perfect theme to do with your kids during the summer break or to make as a part of a summer camp, we certainly do love sharing fish craft ideas with you – just check our paper plate rainbow fish (perfect for preschool and kindergarten). 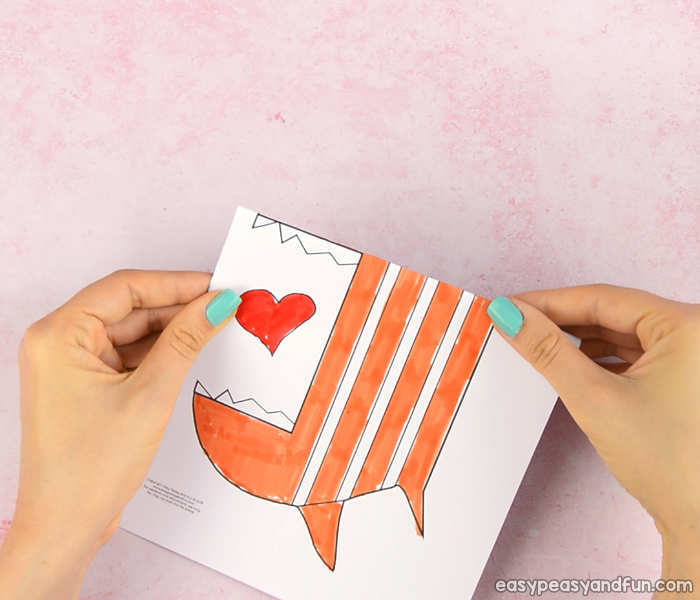 We also love to share all kinds of interactive paper toys (shark puppet anyone?) 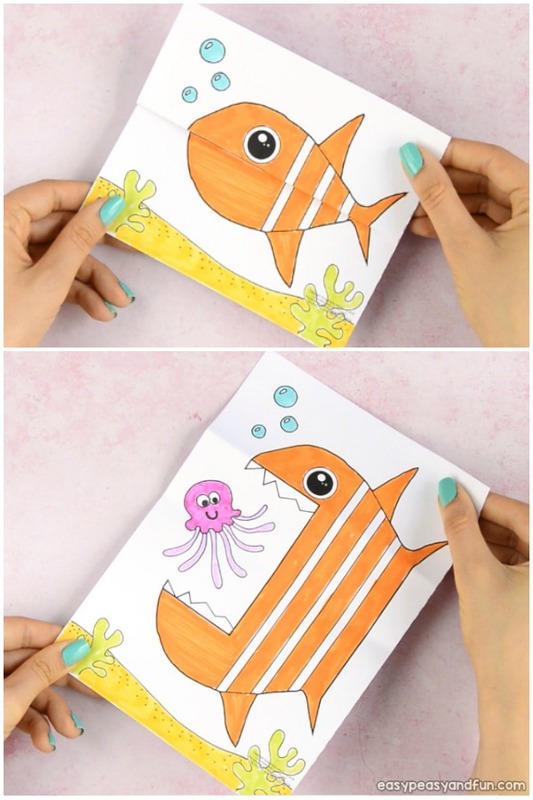 and this surprise big mouth fish certainly fits the bill – it’s a fun project to make and kids can play with it too. 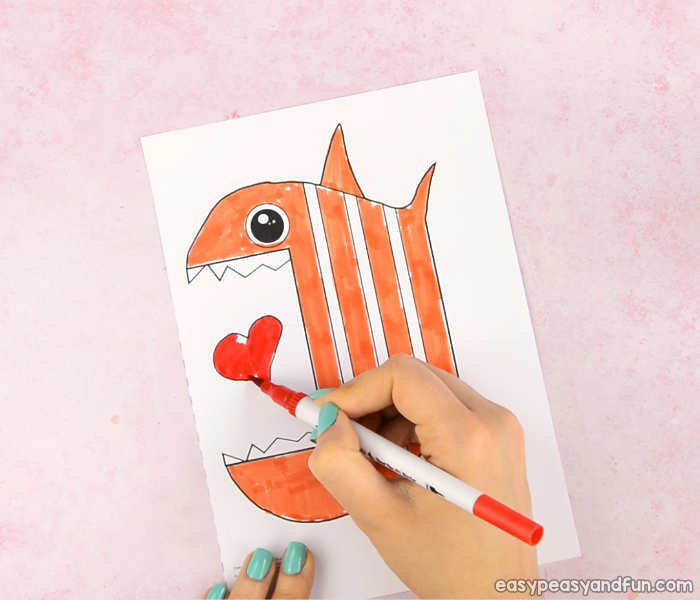 You can even include a hidden message in the fish mouth for that extra wow factor. 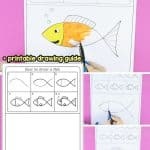 As already mentioned, you can either use our template or make a fish of your own as a part of an art project for kids – this how to draw a fish tutorial might prove handy if you choose the latter. Print out our template – we have two sizes available (1 desing per sheet or 2 desings per sheet the latter perfect for classroom use). 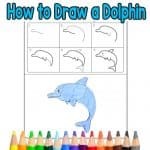 Alternatively you can also draw your own (or any other design too – just check our how to draw tutorials for more inspiration). Color in the fish. 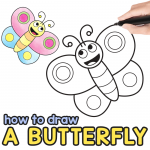 You can color it with crayons, coloring pencils, markers… We choose markers, just keep in mind they work best on heavier print paper – they can wrinkle and bleed through regular print paper. 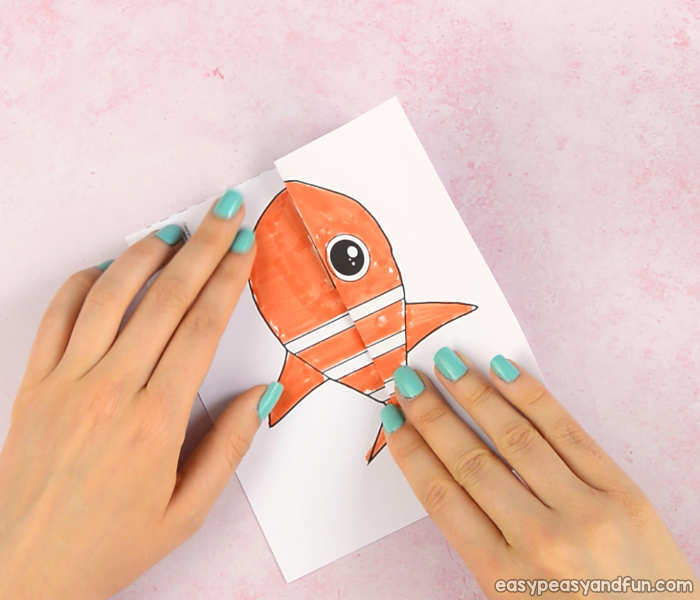 If you are using crayons or colored pencils you can use regular print paper without issues. 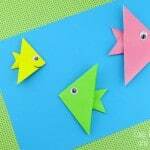 Once the fish template is colored in, it’s time to start folding! Fold along the upper lip line (straight line) across the paper. 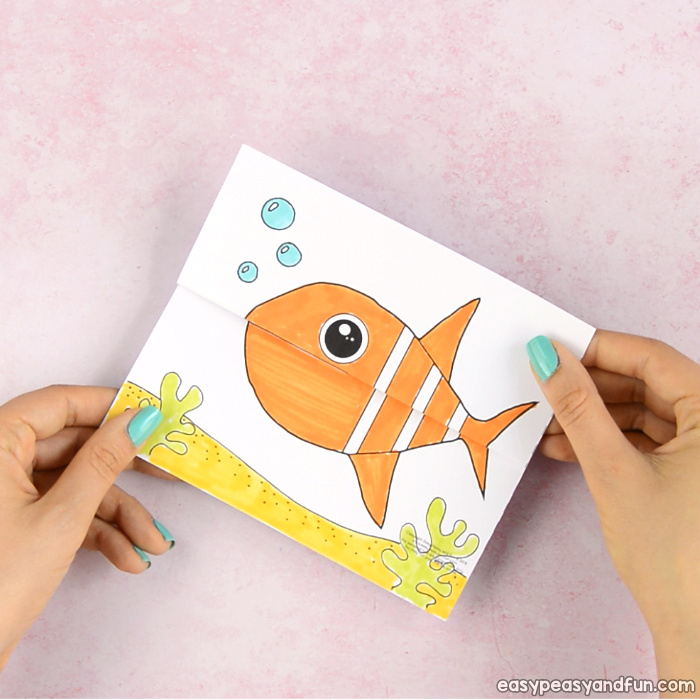 Make sure the fold is really, really crisp – run a craft stick or similar tool across the fold. 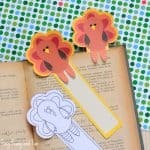 Crisp folds will make this paper craft way more fun. 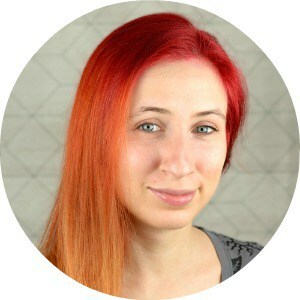 Next bring the fold you just made to the bottom lip line (making the fold somewhere between the lips). Again, make sure the fold is nice and crisp. And that is pretty much it! 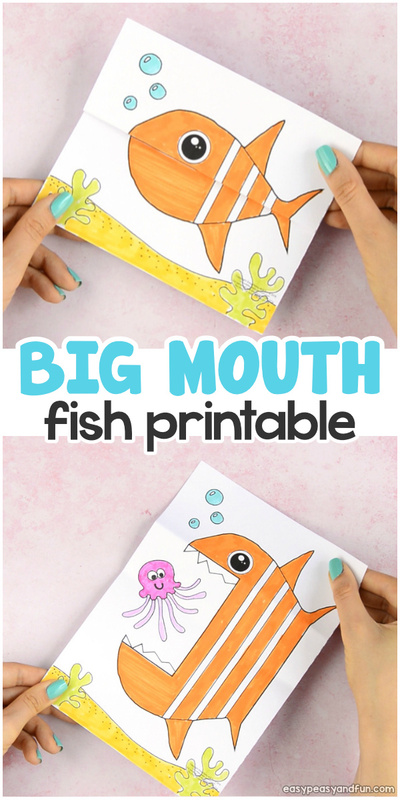 Your surprise big mouth fish printable is ready to start opening and closing it’s mouth.